The School of Communication offers two credit-bearing undergraduate certificates: Certificate in Communication and Certificate in Health Communication. See below for information about each Certificate program. The certificate program in health communication focuses on how people understand and communicate about health and illness. Coursework includes instruction in health-related and care-related messages, the goals and strategies of health care promotion, the relationships, roles, situations, and social structures in health maintenance and promotion, and the communication surrounding wellness, illness, and health care in personal and professional relationships. 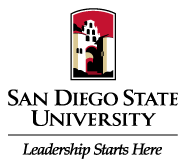 To be admitted to the certificate program, students must be enrolled at San Diego State University or through the College of Extended Studies. The certificate requires 12 units to include Communication 321 and nine units selected from Communication 421, 422, 423, 424, 425, 426, 427, 428. Coursework must be completed with a GPA of 2.0. Courses in the certificate may not be counted toward the major or minor in the School of Communication. The certificate program in communication emphasizes scholarly, creative, and professional aspects of communication studies. Coursework includes instruction that provides understanding of culture, health, institutions, interaction, politics, relationships, and rhetoric in everyday life. The focus is placed on how effective communication enhances well-being and relationships; promotes civic engagement, and allows for effective participation in a global community. To be admitted to the certificate program, students must be enrolled at San Diego State University or through the College or Extended Studies. The certificate requires 12 units from Communication 201, 245, 300, 371. Coursework must be completed with a GPA of 2.0.